An application is the best medium to attain a great height in a shorter time period. For this, it is not enough to only make up the mind for building the mobile application but it also requires finding a set of good application developers or the app development team. After finding a good set of developers’ team, it becomes quite imperative to express as well as establish a successful communication with the development team. The idea of the application needs to be conveyed in an effective manner to attain a good attention of the uses as the app may suffer after its release if the real idea is missing within the application. Although the developers working in a mobile application development company are creative and deploy their own creativity within the application still, some details are needed to be told to them about the type of application, a user wants to have. Why the user actually wants to have an application for his business? Once the introduction gets complete, tell the developers team about the type of audience the user wants to target in real time. Also, introduce about yourself, whether you are an entrepreneur or a professional who is representing his company. The structure as well as the composition of the app, the development team varies or depends upon the size of the project. The app development may include a project manager, iOS and Android Developers, backend operators, UI/UX designers along with app testers. During the discussions about the application idea with the developer team, go for a two-way communication by taking their ideas too about the application. Here, the users only need to deal with the professionals playing a different role as per their designation within the application development process. The best way to explain the app idea for a full proof explanation is to divide the app project into different segments or categorize it into different categories and break it into small bits. As discussing the whole application in a single go may lead to creating some confusion and thus, making a wrong approach for app development. The effectiveness of explaining the app idea can be increased by taking the support of the flow charts having the images and the diagrams as well. Here, mainly the focus is emphasized over the app functionality i.e. the users get an estimate about what the actual page is displayed when he/she tap a particular button or function. The most important thing that automatically comes to the mind while talking about the app development is the budget. Moreover, this is the only main point that most of the entrepreneur keeps at the top of their list. The development team needs to make an estimate chart regarding the investment they are making on the app development. This can easily be either by meeting the professionals or through emailing them. Even the user needs to prepare the deadline regarding the completion of the projects that either, needs to be flexible or followed strictly. The visual mockup plays a crucial role during the app development as through mockup the developer can easily communicate with the UI and UX designers. Through this vital step, the designers could get the basic idea regarding the visualization of the mobile application. Laying an emphasis on the user stories during the communication about the app development to the developers’ team enables them to get the idea regarding the targeted audience of the application and their expectation level too. This is because every story highlights different features of the application and thus, increasing the value of the application to some higher level. The development team does very hard work while designing and coding the application and thus, enjoys working with those clients who respect their hard work and appreciate their work with happiness. Thus, it helps the client to retain a long-term relationship in the future with the developers’ team or the mobile app development company. Thus, it is a very important point that the client and developers’ team make a healthy communication by using free, professional as well as simple language during the discussions about the app development. 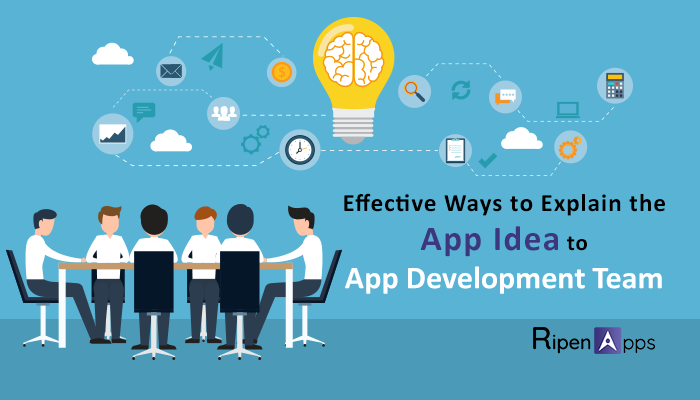 Although it is a crucial and important point of app development for making the business heights, it is also important for the user to communicate in a healthier way with the app development team as this strong bond will help the users to get a real app idea to be visualized in reality.